In 1982, the phrase “Another Testament of Jesus Christ” was added as a subtitle to the Book of Mormon.1 Some may wonder what it means that the Book of Mormon is “another testament” and why this additional description is so important. The following summaries provide several different ways to understand the meaning and purpose of this added subtitle. Most readers are likely familiar with the word testament as found in the Old and New Testaments of the Bible. It comes from the Latin word testamentum, and in archaic English it meant “covenant.”2 Just as the Old and New Testaments are records of God’s covenant relationship with His people in the Old World, the Book of Mormon is a record of God’s covenant with a branch of Israel in the New World. The Book of Mormon: Another Testament of Jesus Christ. As a record of God’s covenants, as a sign of God’s power, and as a volume of holy scripture, the Book of Mormon rightfully stands alongside the Bible as another testament of Jesus Christ. Its added subtitle helps clarify to the world what the Book of Mormon truly is and why it is so important. All who look upon its title can now more clearly discern its Christ-centered focus and purpose. Jeffrey R. Holland, “‘My Words … Never Cease’,” Ensign, May 2008, online at lds.org. Boyd K. Packer, “The Book of Mormon: Another Testament of Jesus Christ—Plain and Precious Things,” Ensign, May 2005, online at lds.org. Boyd K. Packer, “Scriptures,” Ensign, November 1982, online at lds.org. 1. See “Book of Mormon: Another Testament of Jesus Christ,” online at mormonnewsroom.org. See also, Boyd K. Packer, “Scriptures,” Ensign, November 1982, online at lds.org. 2. See OED online, s.v. “testament,” online at oed.com, accessed October 16, 2018. 3. See 1 Nephi 2:20–24; 2 Nephi 1:20. 4. See Book of Mormon Central, “What does it Mean to ‘Prosper in the Land’? (Alma 9:13),” KnoWhy 116 (June 7, 2016); Book of Mormon Central, “How Is Prosperity Defined in Nephi’s Small Plates? (Words of Mormon 1:6),” KnoWhy 383 (November 21, 2017). 5. See 2 Nephi 25:17; 2 Nephi 29:1; Jacob 6:2. 6. Oxford Living Dictionaries (English), s.v. “testament,” online at en.oxforddictionaries.com. 7. For more on the Book of Mormon’s role as a sign of Israel’s gathering, see Book of Mormon Central, “Why is the Book of Mormon So Important to the Restoration? (Mormon 9:36),” KnoWhy 281 (March 1, 2017). 8. See Book of Mormon Central, “Were Plain and Precious Doctrines Lost? (1 Nephi 13:26),” KnoWhy 15 (January 20, 2016). 9. See Book of Mormon Central, “What Does the Book of Mormon Teach about the Priesthood? (Mosiah 23:17),” KnoWhy 289 (March 20, 2017). 10. See Book of Mormon Central, “Why Is 3 Nephi Sometimes Called the ‘Fifth Gospel’? (3 Nephi 27:21),” KnoWhy 222 (November 2, 2016). 11. 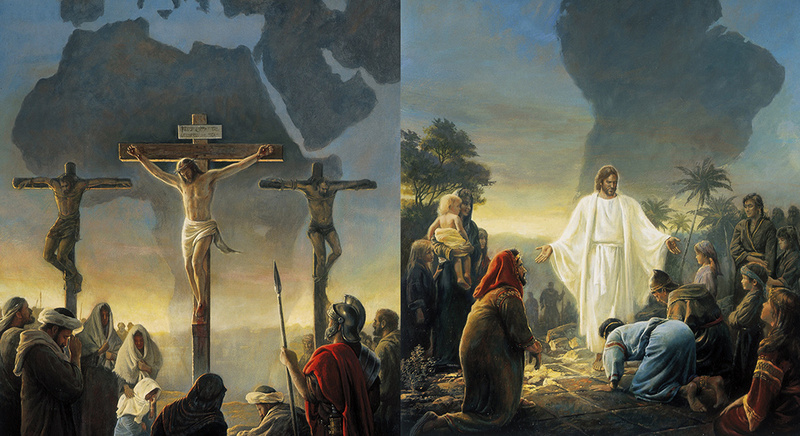 See “Religious Freedom,” online at lds.org. 12. Jeffrey R. Holland, “‘My Words … Never Cease’,” Ensign, May 2008, online at lds.org. 13. Packer, “Scriptures,” online at lds.org.